If you haven’t yet experienced the enjoyment of dry fly fishing, fall can be a good time to get out and try it. While the insect hatches that generally take place during fall may not compare to the more intense hatches of the spring or early summer months, dry flies continue to bring fish to the surface to feed. As an added bonus, most streams are much less crowded during this time of year. Once you watch a trout take your fly on the surface for the very first time, you’ll understand why fly anglers often favor dry fly techniques. You can learn how to fish dry flies with a bit of practice and a few simple tips. 1. Observe the insects that float past you to match the hatch. Take a few extra minutes to identify the insects in the trees or in the air, or try to catch a few. When surveying the flies in your box, select one that most closely resembles the insects you see around the stream. 2. Learn dry fly fishing techniques (also referred to as surface techniques) like the reach cast and the parachute cast. 3. Learn which situations call for longer leaders. 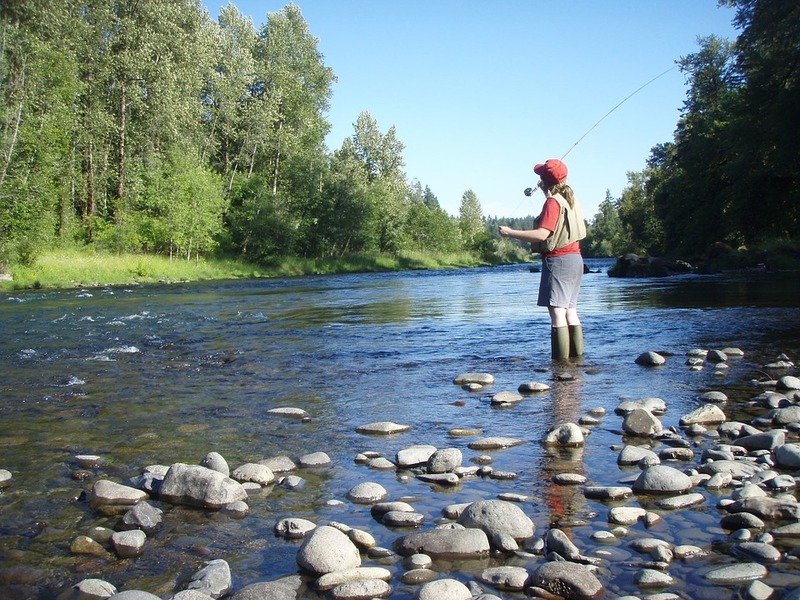 For example, when fishing dry flies on flat, clear, or low rivers and streams. In instances like these, you may need as much as 15-feet of leader. For example, a dry fly fishing set up for trout might consist of a 4-weight rod, floating fly line, and 12 to 15-foot leader when the water is calm and clear. 4. One of the most important dry fly fishing tips is to remember to take a second to inspect your fly after each cast. Check to see if the wings or appendages on your fly have rotated out of position or if any of the materials are damaged. You might be surprised at how often this can happen, and it can definitely make the difference between a take and an ignored fly. Continue reading, 8 Dry Fly Fishing Tips to Use this Fall, from our friends at TakeMeFishing.org here.